One of the best advantages of doing pushups is that you can do them at any time. You don’t really need extra weights because your body weight works well enough. 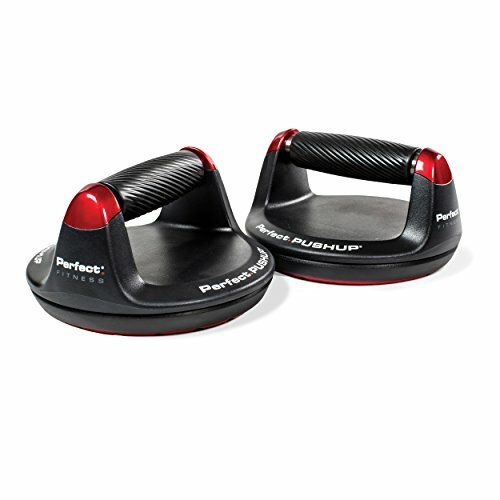 But even though you don’t absolutely need extra equipment either, you may want to think about using pushup bars and discs. Using pushup bars is easy. 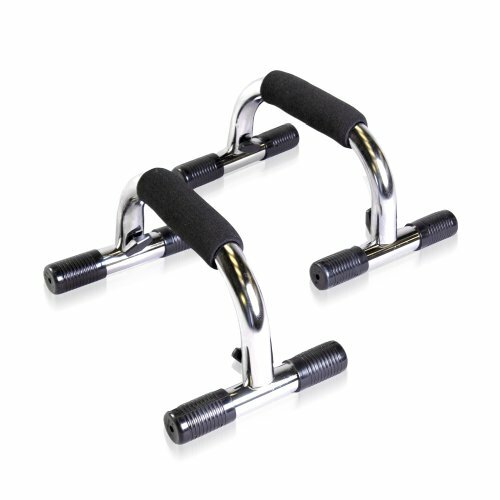 You just grab the handles naturally as you place the bars on the floor, and then you do your pushups. The main benefit here is that you relieve your wrists of the strain brought on by the unnatural position. So you can focus your attention on building your strength and your muscles properly and doing pushups with the proper form. 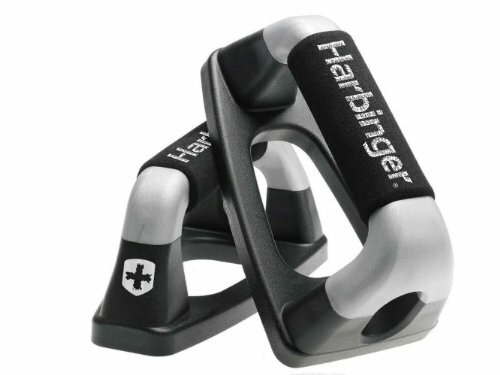 You won’t have to endure the unnecessary stress on your wrists. These things are also small enough that you can bring them with you anywhere, and you don’t need much storage space for them either. In addition, you also won’t have to get your hands dirty putting them directly on the floor either. 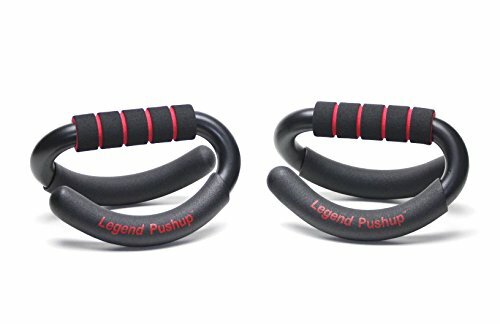 This is one of the most highly regarded pushup bars in the industry, as it’s been designed by a US Navy Seal to work with SEAL exercises. 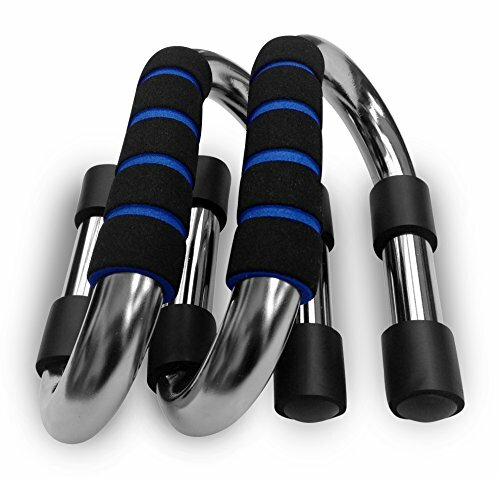 It rotates slightly so it engages more muscles and the ergonomic grip reduces joint strain. The tread can handle all types of floor surfaces. It also comes with a 400-pound weight limit, so you can wear a weighted vest. 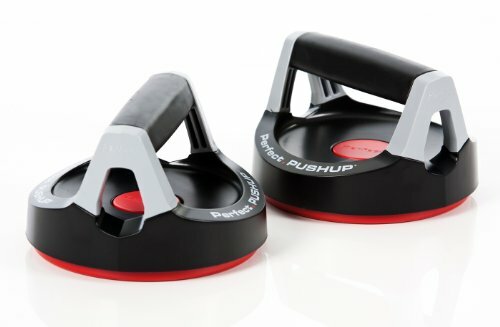 Complete Push Up Training System. This uses a color-coded pushup board system so you can use up to 14 positions at multiple angles. The oversized grips are designed to ease the wrist pressure. It comes with a workout calendar, and you can access their YouTube videos for the demos. 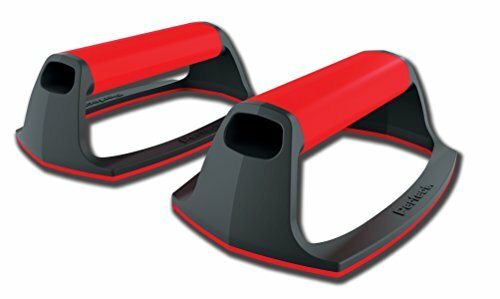 The Rocking mode takes it easy on your wrists and really stresses your body. It uses balance and a wide range of motion to activate your muscles. Flip the Legend Pushup, and you go into Stable mode. This works as your standard pushup bar. This is so durable it’s guaranteed never to break regardless of your weight. The handles are at just the right angle to prevent wrist fatigue, and the foam handle is soft while it offers a secure grip. It’s actually portable, as you can detach the base from the handles. This uses chrome steel and it measures 22 mm for the bars. There are no separate pieces and no welds or joins. That means there’s no need to assemble it and it’s totally stable. It won’t slip or wobble and it can handle up to a weight of 220 pounds. It’s available in 2 grip sizes, and they come with foam pads for a non-slip grip. This offers 360-degree stability, and the non-skid platform can work on carpet and all hard floor surfaces. The grips are padded so they’re more comfortable, and storage is easier because they handles stack together. Each bar supports up to 350 pounds in weight, and the “delta”-shaped base lays flat on the floor to provide a training platform with reliable stability. The handles are padded for extra comfort. It’s quite compact, and it’s easy enough to bring with you on your travels. This is the original Navy Seal version which the Elite improved upon. 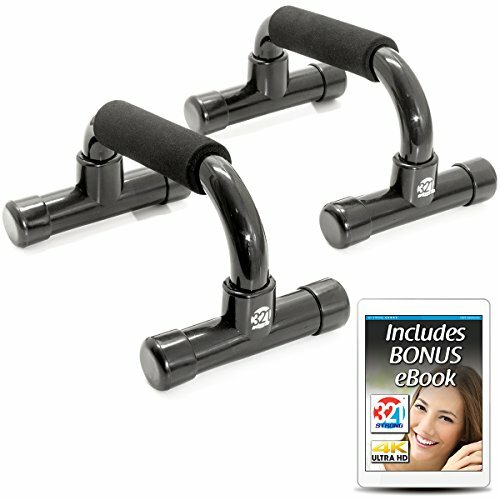 The handles also rotate to engage more muscles and reduce the strain on the joints. The rotation is smooth due to the efficient ball bearing system. It comes with comfy rubber grips plus a non-slip base. You don’t spend a lot of money, but you get a lot in return. It can handle a weight of up to 300 pounds. The handles are covered with slip-resistant foam for your comfort, while the stability comes from the hard rubber footpads.